Japan has a reputation as being one of the most expensive countries in the world, for locals and travelers alike. While real estate prices in Tokyo continue to rise as high as the skyscrapers of the city's Shinjuku district, costs for tourists are the lowest they've been in decades, thanks to the anemic Japanese yen, which currently exchanges at around 110 per U.S. dollar. Here are a few more specific ways to make your trip to Japan more affordable, no matter when you visit, where you go or how long you spend in the country. Sapporo, the largest city on the Japanese island of Hokkaido, is perhaps most famous for the beer of the same name. Substituting beer for sake isn't the only way to save money this far north, however. While prices on Sapporo hotels might be slightly elevated during January and February, the island's most priceless source of entertainment is absolutely free. You'll be amazed as you traipse around the Sapporo Snow Festival, whether you marvel at sculptures depicting Japanese anime characters or legendary villain Darth Vader, chomp on delicious food from all over Japan, or warm up with cold-weather versions of warm-weather cocktails like mojitos, served piping hot. TIP: Save time and money on your next trip to Sapporo by riding the brand-new Hokkaido Shinkansen train from Tokyo to Shin-Hakodate-Hokuto Station, the connecting to a local Sapporo-bound service. The entirety of this journey will be covered by your Japan Rail Pass! Seeing the cherry blossoms in Japan is a must for your travel bucket list, but unfortunately, visiting Japan when the sakura are in bloom can be hard on your wallet. One way to enjoy Japan's beautiful flora without breaking the bank is to visit Fukuoka, a large city on the southern Japanese island of Kyushu, and travel to nearby Kitakyushu, which is home to a place known as the "Wisteria Tunnel." The Wisteria tunnel blooms starting in late April or early May, several weeks after the last cherry blossoms fall off trees this far south. You won't have to pay prime rates on hotels in the Fukuoka area, but you'll still be able to enjoy some of the world's most wonderful flowers. 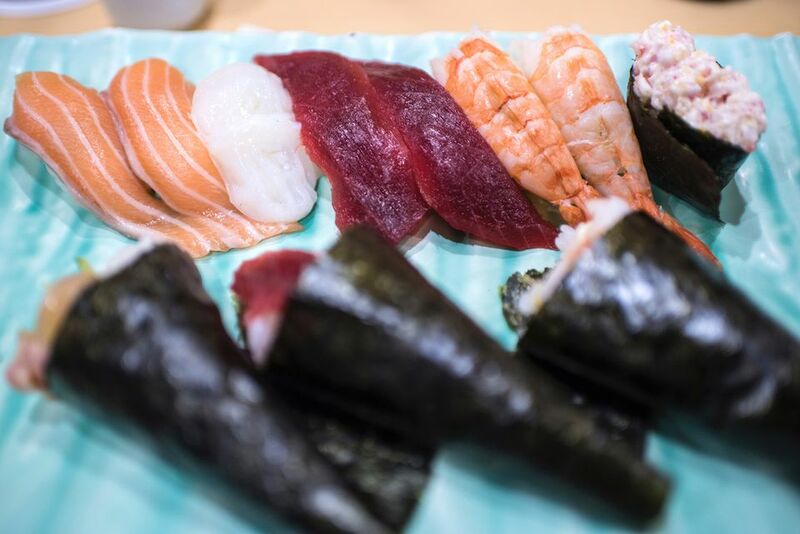 As Japan's third-largest city, Osaka often plays second-fiddle to Tokyo, but while its population and, perhaps, name recognition lag behind, it's hard to dispute that Osaka is the food capital of Japan. To be sure, while the city is home to a staggering number of Michelin-starred restaurants, a cheap way to discover Osaka-area cuisine is by eating street food. After checking in to your Osaka hotel, head to the Dotonbori pedestrian street and chow down on takoyaki octopus fritters, gyoza dumplings, and grilled kani, a.k.a. crab legs. Kyoto, perhaps more than any other Japanese city, is subject to seasonal fluctuations in prices on hotels, with traditional ryokan guest houses often priced at over $1,000 per night during peak seasons. It also happens to be the most beautiful during these expensive times of the year: Cherry blossoms in the spring; and the brilliant colors of fall. One way to see the majesty of Kyoto without going home penniless is to visit just outside the peak season—in early March or late April to see cherry blossoms just outside their peak, or in early November or late December to appreciate the beginning or end of the fall colors. Kyoto is also beautiful in winter (though snow is rare) and while the summer tsuyu (monsoon) season can be marked by torrential rain, this often lasts for only a few hours per day. Saving money in Japan starts with these tips and these destinations, but it doesn't end there. Whether you save on nonstop train travel by purchasing a JR Pass, buy flat-rate plane tickets with a pass through JAL or ANA, or buy a local SIM card to save on roaming fees, Japan is cheaper than you think.